Traditional yet contemporary, this neoclassic award is rich with tone and texture. The silver-plated base reflects light throughout the jade crystal plaque while contrasting well with its black metal columns. The design is further touched off by etched patterns that carry out the neoclassic theme. 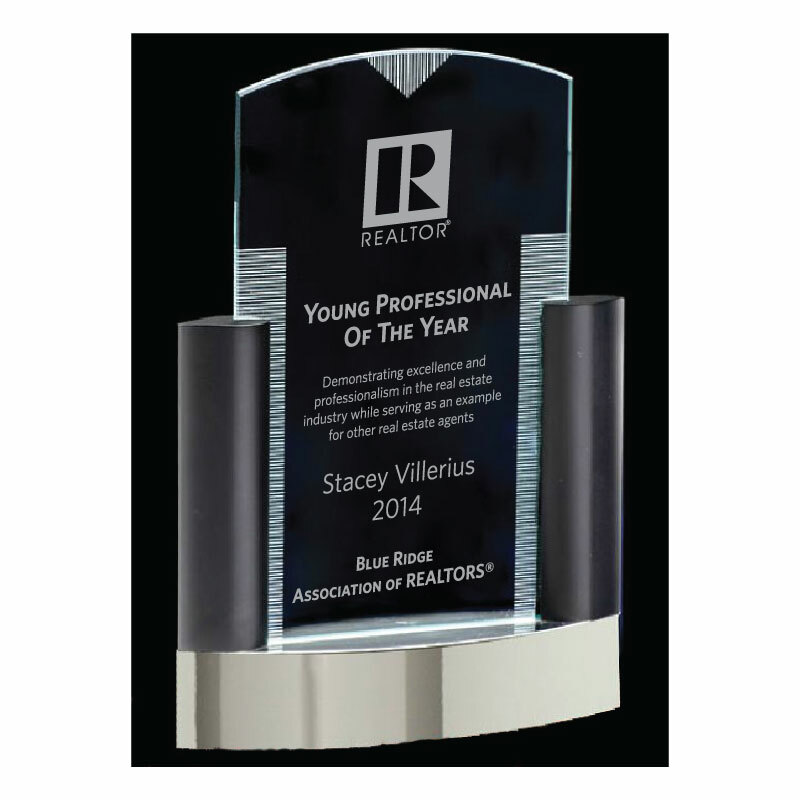 Please note: Every award we offer can be customized as a President's Award, REALTOR® of the Year Award, Affiliate of the Year Award, Member of the Year Award or with ANY text or REALTOR® brand including board logos.